All grant applications are reviewed by the Foundation's IOLTA Committee, which is made up of appointees from the Foundation, the Kansas Bar Association, the Kansas Supreme Court, the Kansas Trial Lawyers Association, the Kansas Association of Defense Counsel, the Governor's Office, and the Kansas Bankers Association. The IOLTA Committee forwards its recommendations to the Foundation's Board of Trustees for final approval. You will be notified by mail and phone if you are selected as an IOLTA grant recipient. 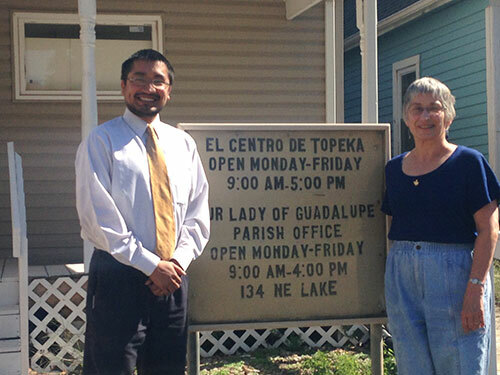 El Centro of Topeka sees a growing need for low cost legal immigration services to families in our community. Through the Department of Justice's BIA Accreditation and Recognition process, we propose to provide families an added avenue to receive essential legal immigration services. IOLTA funds allow us the ability to receive the legal training necessary to apply for and ultimately provide these vital services. Kansas Bankers and Lawyers Make a Big Difference!